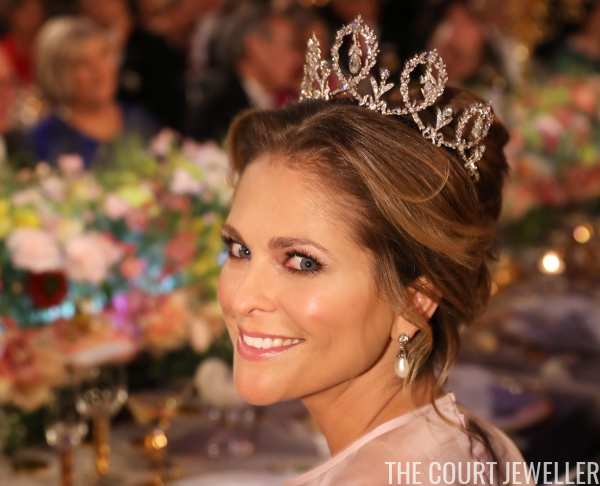 Continuing our marvel at the jewels of last night's Nobel ... time for a closer look at Princess Madeleine's tiara, jewels, and gown! Madeleine wore the Connaught Diamond Tiara, which is over a century old. It originally belonged to Madeleine's great-grandmother, Princess Margaret of Connaught. 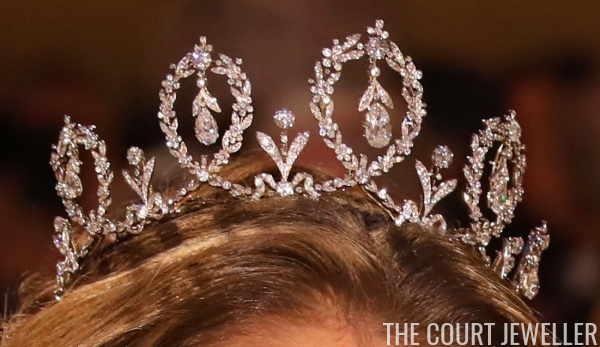 Here's another angle on the tiara (and a good look at Madeleine's hairstyle). Madeleine has only worn the tiara once before: at the wedding of her sister, Crown Princess Victoria, in 2010. Last year, Crown Princess Victoria wore the tiara at the Nobels. 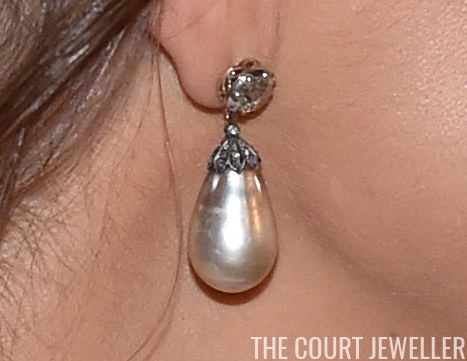 Madeleine wore diamond and pearl drop earrings with the tiara. 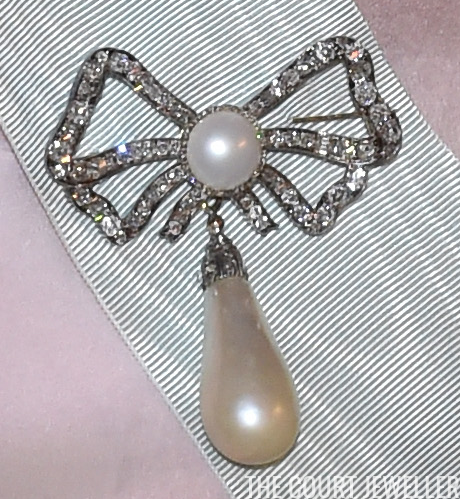 And, appropriately, she also wore the family's diamond and pearl bow brooch with the pearl pendant to secure her Order of Seraphim sash. 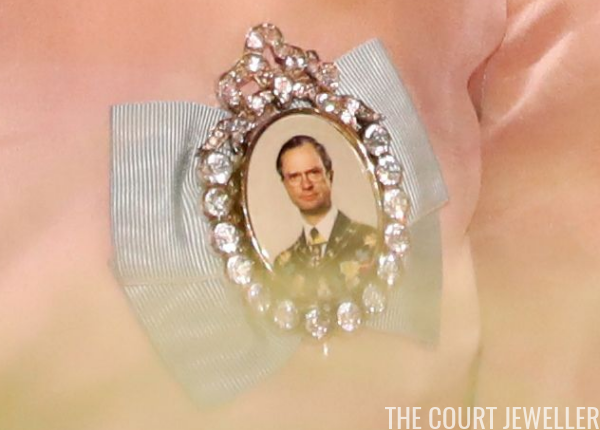 Here's a closer look at Madeleine's royal family order badge. See how the portrait of King Carl XVI Gustaf is different than the one we saw on Princess Sofia? The diamond frames around each portrait are also slightly unique. And finally, a good look at Madeleine's gown, which was designed by Fadi el Khoury.